When do medical personnel lose their protection under IHL in armed conflict? Specifically, what acts are considered ‘harmful to the enemy’? Who may medical personnel defend against what without losing their special protection? And, do medical personnel regain their previous status once they have ceased to commit acts harmful to the enemy? Part I of this two-part post looked at whether distinct medical services are required under IHL, whether there is an obligation for military medical services to be prepared to collect and care for wounded and sick civilians, when civilian medical personnel can be considered ‘assigned’ to a party such that they enjoy special protection under IHL, and at an exception for respect of medical confidentiality. 5. What are acts harmful to the enemy? IHL contains no explicit treaty rule on when medical personnel lose their special protection. 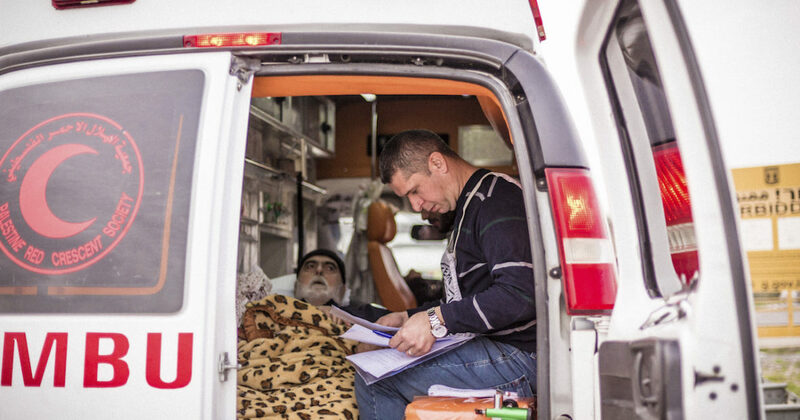 There are, however, detailed rules on when fixed medical establishments and mobile medical units lose their special protection (GC I, Art 21; GC II, Art 34; AP I, Art 13; ICRC CIHL, Rules 28 and 29). While it is accepted to apply those rules to medical personnel by analogy, this must be done mutatis mutandis in my view. Special protection is lost when they commit acts harmful to the enemy outside of their humanitarian duties, but only after due warning is given and after a time limit for stopping such acts has remained unheeded (GC I, Art 21; GC II, Art 34; AP I, 13(1); ICRC CIHL, Rules 28 and 29). It is important to clarify here that a wide range of acts may be carried out by medical personnel outside their humanitarian function—such as the distribution of food or the construction of a bridge for the civilian population—without entailing a loss of protection against attacks under international humanitarian law. Geneva Convention I and Additional Protocol I cite only some examples of acts which do not entail a loss of protection, because they would otherwise be controversial (see GCI, Art 22; API, Art 13). Notably, both treaties provide in particular that medical units do not lose their protected status by virtue of their personnel being armed for the purpose of their own defence or the defence of the wounded and sick. They may use those weapons in self-defence or in the defence of the wounded and sick, but only in response to unlawful attacks. In this context, it is important to interpret the concept of self-defence of non-combatants in an armed conflict in a very restrictive way (and here, it should be recalled that even military medical personnel are not combatants). First of all, medical personnel may only act in self-defence against attacks—i.e., acts of violence—not against attempts by the enemy to gain control over them, their units or the wounded and sick, which are not prohibited by international humanitarian law. Therefore, in such a case, medical personnel would lose their special protection if they tried to hinder the enemy from gaining control. Second, they must take into account the risk of generating a distorted perception when they start to use force against enemy armed forces, even if it is in self-defence. In addition, not all unlawful attacks may give rise to self-defence. In my view, an unlawful attack triggering the right to self-defence is only one which has an unlawful target (that is, an attack against something that is not a lawful military objective). In contrast, medical personnel may not react to attacks which are unlawful because they violate the principle of proportionality, the obligation to take all feasible precautionary measures, or because they use—against combatants—unlawful weapons. Medical personnel would not be able to evaluate the legality of such an attack. One might also wonder whether medical personnel may defend others—their fellow personnel and the wounded and sick—against an unlawful attack. Under the wording of the provisions, it is clear that they may defend other medical personnel and the wounded and sick under their care. In my opinion, this should be extended to defending a civilian targeted by an unlawful attack, even though this is not provided for in the Conventions. One should also add that the question of self-defence is one of the differences between medical and religious personnel. Military religious personnel may not defend those in their spiritual charge, as it is not unlawful to attack them. On a related note, it should be stressed that IHL explicitly clarifies that only acts harmful to the enemy committed by medical personnel ‘outside their humanitarian duties’ can lead to loss of protection. Thus, acts that are part of a medical personnel’s humanitarian duties—such as care for the wounded, sick, prevention of diseases, or presence on battlefield to collect wounded and sick—never lead to loss of protection. This is the case even if the beneficiaries are soldiers and the medical acts therefore enhance the military capacity of those who fight for one party to the conflict. Finally, civilian medical personnel who do commit acts harmful to the enemy lose their protection as civilians only if and for such time as they directly participate in hostilities. For military medical personnel, the consequences and duration of such loss of protection are again controversial. Some argue that, as members of the armed forces, they turn into combatants who turn into POWs if captured. Others contend that they regain the special protection afforded to medical personnel as soon as they no longer commit acts harmful to the enemy. This is in my view unrealistic as it would mean that they must be repatriated if they fall into the power of the enemy (GC I, Art 30). See also CIHL, Rule 25, which does not include the latter part and AP II, Art 11, which has a slightly different wording. See Michael Bothe, Karl Josef Partsch and Waldemar A. Solf, New Rules for Victims of Armed Conflicts. Commentary on the Two 1977 Protocols Additional to the Geneva Conventions of 1949, The Hague, Martinus Nijhoff, 1982, p 411, Robert W. Gehring, Loss of Civilian Protections under the Fourth Geneva Convention and Protocol I, 90 Military Law Review, 1980, p 49, and Nils Melzer, Targeted Killings in International Law, Oxford, Oxford University Press, 2008, p 329.The first two references however technically deal with the interpretation of the same terms concerning civil defence (see AP I, Art 65(1).